Original ‘The Screaming Jets’ band members Grant Walmsley, Brad Heaney and Richie Lara will reunite at Live at the Foreshore for the first time in 26 years to commemorate the 30-year anniversary of the founding of The Screaming Jets. To celebrate this milestone, the trio have formed JETSPLAYJETS, with two of Newcastle’s most respected musicians, frontman Ngariki and bassist Paul Coxon, to play anthemic hits like ‘Better’, ‘Shivers’ and ‘Helping Hand’ from their international selling hit albums. Delivering the classic and unmistakable twin guitar assault of Walmsley and Lara and the peerless feel of Heaney’s world class drumming, fans have said that “this combination alone is synonymous with the original Jets sound”. “It may have been 26 years since we played together but the instant we started again, it was a lightning strike right back to our glory days. We haven’t lost a thing”, states Walmsley. This addition to the ultimate Saturday night line up is just over a month away and tickets are selling fast. 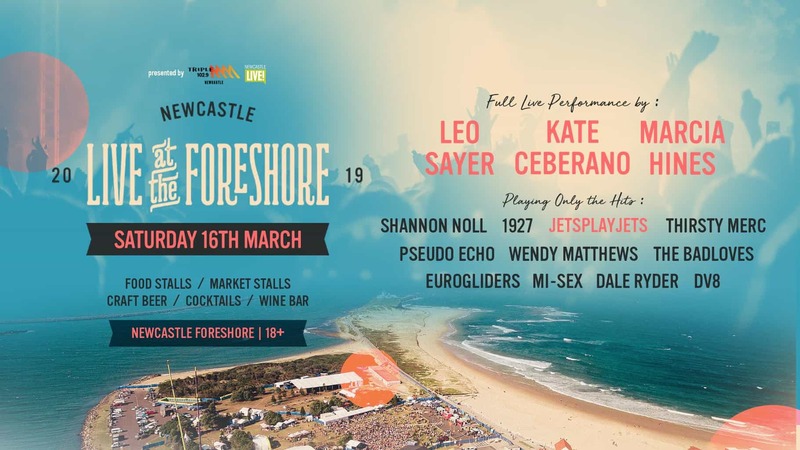 This year Live at the Foreshore brings a who’s who of hitmakers including disco legends Leo Sayer and Marcia Hines plus angelic Kate Ceberano and true blue Shannon Noll. 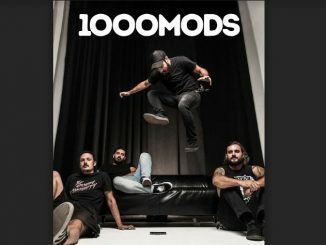 They’re joined by icons The Badloves, 1927, Thirsty Merc, Pseudo Echo, Wendy Matthews, Eurogliders for sing-along to all the hits and deep cuts fans know and love. Upping the already crisp beach side atmosphere, Live at the Foreshore comes through with incredible gourmet eats from the State’s best vendors and food trucks. Sip on an impressive selection of craft beer plus the finest boutique wines and signature cocktails as the sun sets beside the sea. It’s the perfect place to chill on a camping chair or spread out on a picnic rug as one huge stage plays host to hit after hit-maker and surprise guests.